What has pickled onions have to do with hula? Nothing…..just an attempt to keep the blog current. Besides, who doesn’t appreciate a good recipe? 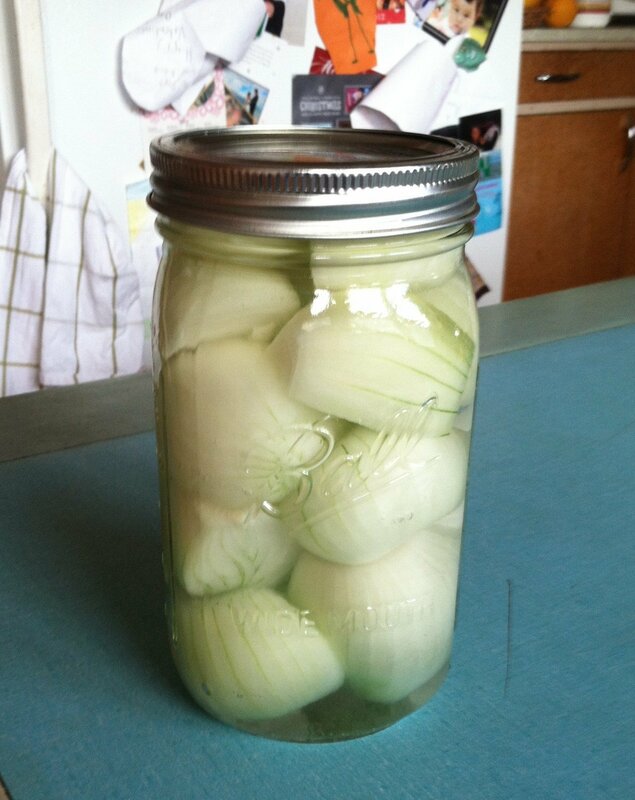 Yesterday our neighbor from down the road gave us onions so I whipped up a jar this morning…..here’s the recipe, super easy! !